I’ve said it before and I’ll say it again: one of the hardest parts of guest posting is simply finding sites that are willing to accept guest posts. Oh, sure, you can pitch any site so long as you can find the information for the relevant editor, but if that’s your plan, you’re going to have an abysmal success rate. There are plenty of resources that can help, but nothing beats a little personal legwork. Thankfully, Google can help a lot with this task. You’re going to have to familiarize yourself with common Google search operators, though, so that might require a little learning. Or not! It all depends on how much you know already. There are a lot of operators that can change the specific behavior of Google search queries, and it pays to know what a lot of them are. You might not use them every day, but the day you need them and know them, you feel like an information wizard. Query: Your basic search term. If you’re looking for [red socks], you can just put those words into the search bar and call it a day. Specific query: An exact match query. If you use quotation marks, you get the full phrase rather than anything that includes the words individually. “Red socks” will get you only pages with “red socks” on it, not green socks, not just socks, and so on. It’s useful to note that Google still allows variations here, so you might get “red sock” as well. Exclusion: If you add a minus sign before a word, it forces Google to exclude pages that use that word. If you want to find red socks but keep getting autocorrect results for the Boston Red Sox, you can use –sox to exclude any results with the Sox in it. Site Search: Using the “site:domain.com” prefix to any query will search explicitly within that domain. Using “site:guestpost.com” will show you only results on this site, for example. Title Search: The phrase “intitle:keyword” will search for pages with the keyword in the meta title of the page. “Allintitle:” allows you to search for longer phrases instead of specific words. URL Search: Similar to the title search, “inurl” and “allinurl” look for keywords in the URL string of websites. There are a lot more search operators – dozens, in fact – but I won’t be using most of them for the footprints I’ll be giving you. You can read through them on a page like this one if you want a deeper understanding of the advanced queries you can craft. 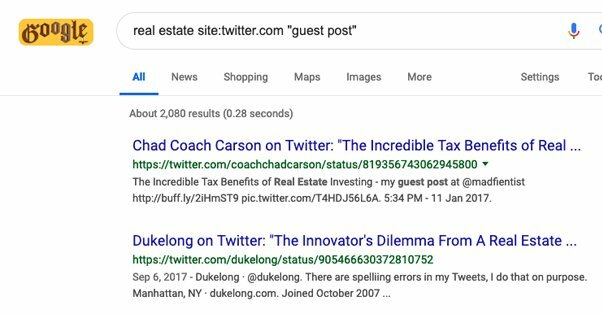 I have a few additional tips that can help make your searching for guest posting opportunities a little easier. First up, remember date searches. When you run a new query, instead of just skipping down to the results, refine your search by time. Look for the “tools” button below the search box and click it. One of the two revealed options is “any time.” Click this and choose a different option in the drop-down. You can choose the past year, past month, past week, past day, past hour, or a custom range. In general, I find “past year” works fairly well to find pages that have been updated recently enough that you know the site very likely accepts guest posts. It’s annoying to keep finding guest post pages published in 2009 that you aren’t sure are still up to date. Though, remember that sometimes they are, so it’s still worth including them on occasion. Secondly, remember that it’s a great idea to do some deeper background research before blindly sending in your pitch. Unless you have industry-wide name recognition, I feel like it’s generally a good idea to network with the editor in question before you send one through. Learn what they like, engage with their content so they recognize your name, and generally make your presence known. Third, remember to customize your footprints and run them multiple times. 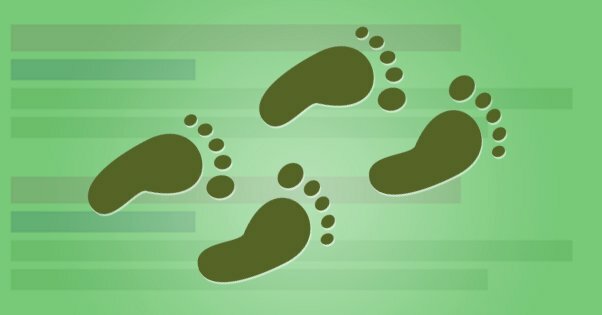 The same footprint with six different keywords can find you a bunch of unique results each time. Yes, there will be some overlap, but you can also exclude domains to get rid of the common few. Finally, make sure you’re keeping track of all of your queries and their results in a spreadsheet. 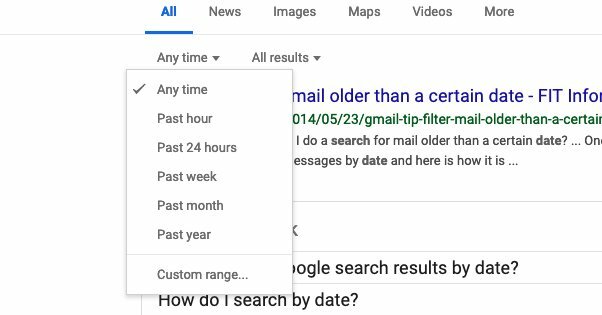 The last thing you want to do is find yourself repeating the legwork and doing the same queries over and over, then spending a ton of time filtering the results to remove duplicates. A spreadsheet also makes it easy to remove duplicates automatically. In case you’re not quite sure what a footprint is, it’s basically a template search you can customize and use through Google to find a certain kind of result. In this case, we’re tailoring our footprints to find sites that accept guest posts. For the following footprints, I’ll be using wildcards like [keyword] and [author name]. Whenever you see one of those, fill it in with a relevant word or phrase from your industry. For example, I might use [marketing] or [Brian Dean] as phrases for my own marketing outreach. This is your most generic option. 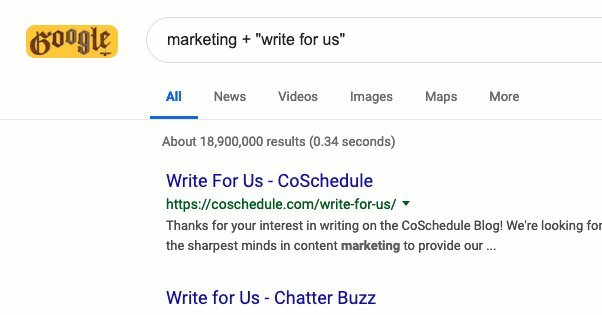 You plug in a keyword and you look for pages relevant to that keyword that use the phrase “write for us.” This will often find you pages that detail accepting guest posts. You can also replace “write for us” with a number of different common phrases. 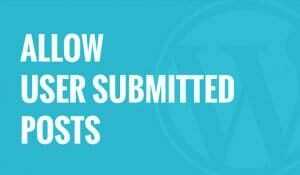 “submit your content”, “guest posting guidelines”, “submit article”, “become a guest”, “looking for guest posts”, “submit a post”, and so on. There are dozens of them. The aforementioned Brian Dean lists off a bunch here. Don’t forget to change up your keyword to run the search several times! An alternative to this one is to use allintitle:guest post, or guest blogging, or any other similar phrase. 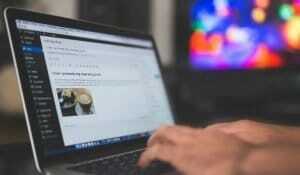 A Search Engine Journal list of 20 marketing blogs accepting guest posts. The guidelines page to submit content to Hubspot’s marketing blog. 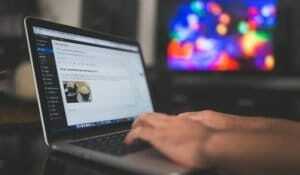 A list of sites that accept guest posts from Writers in Charge. A list of 36 sites that accept marketing posts from IgniteVisibility. Sometimes it’s great to let other people do the work for you, right? Instead of having to scrape the first 10 pages of Google, you can just scrape the lists from these blog articles and cut out the overlap. This is a slightly complex footprint, but I’ll explain it in three stages. First, you have the author name. What you want to do is find authors who are prominent guest posters in your industry and use their names. Hopefully, they have distinct names. Second, you have the phrase “guest author”. You can replace this with “guest poster” or “guest contributor” or whatever other phrases come to mind. This looks for pages that have the person’s name and the phrase guest author, which ideally will flag their bylines. Third, the –domain bit is to remove the results from that user’s home domain. For example, if I use Brian Dean as my author, I can remove Backlinko and Quicksprout to ditch the sites he runs. Most good blogs, at least the ones you’d want to write for, use verbose URL structures, usually with words separated with dashes. This footprint looks for sites with URL strings that include “guest-post-guidelines” as all one phrase. You don’t need to use allinurl because the dashes and lack of spaces makes it all one string. You can switch this up with other common guidelines URL strings, like guestpost-guidelines or guest-posting-guidelines. This is another three parter. First is your keyword, which is necessary even in a specific site search when the site you’re searching is as varied as Twitter. Second is, of course, Twitter itself. Twitter is great because the number one thing an author does once they publish a guest post is to tweet about it to their audience. Then you have the phrase “guest post” to find those specific tweets. You can do a similar search from within Twitter as well. They will find different results, because Twitter’s search operates differently. I’ve mentioned that verbose URL structures are common, so this is a niche spinoff of that concept. If you take the author’s name and hyphenate it, into something like brian-dean, you can look for keyword-relevant sites that have that author’s name in the title. A similar option is to use slashes in your URL. Want to find author profiles? Try inurl:author/brian-dean instead. You might come across some sites you’ve never seen before. This one combines a couple of the earlier options into one. Add your keyword to make sure the blogs you’re finding are relevant. 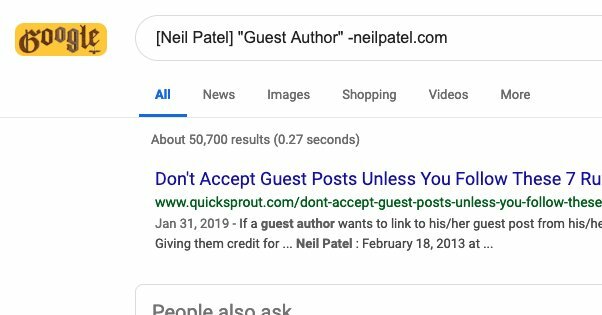 The title specification makes sure you find sites that have the phrase “guest post” in the title, while the URL specification makes sure you find sites that use the word guest in verbose URLs. This is an interesting footprint because it helps you find sites you won’t otherwise find, since rather than looking for guest post forms or submission guidelines, you’re looking for sites that want you to send an email. It’s an assumption that the sites are using Gmail, but you can customize it to other email clients if you like. Unfortunately, for sites that use their own domains as email domains, this trick won’t work. This is similar to #2 up above, but has a more explicit focus on finding those top lists of blogs. 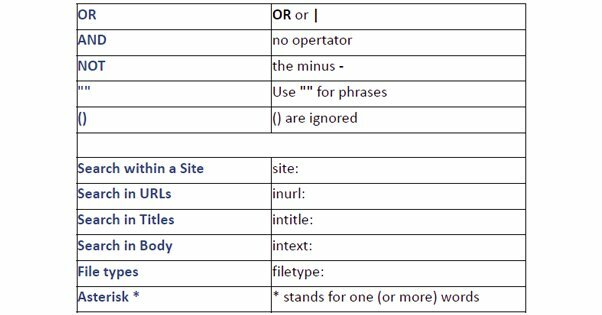 You can customize the phrase to different list formats, and the keyword to find different blogging niches, and both will give you huge lists. The downside is that these lists tend to have a lot of overlap. You also may want to adjust the date to show only the most recent blog posts, because these lists are rarely maintained so a lot of them will be dead links, dead guidelines, or sites that are closed to submissions. This last one isn’t really a search footprint in the traditional sense. The guest authors you’re tracking down generally are trying to build a robust online presence, and part of that is consistent branding. Since part of that branding is their picture in their author bios, many of these authors are using the same profile picture on every site they write for. Go to one of those sites and download their profile picture. It will probably be a small 100×100 pixel headshot or something of the sort. Then go to Google and click the Images section in the upper corner. There, instead of typing a keyword, click the photo icon and upload the photo. Google will make their best guess as to the textual context of the image, and then show you similar images, both of which you can ignore. Further below, it will show you a list of URLs where that image can be found. You’ll find a lot of different domains here. You can further refine this by adding a textual footprint to the search. 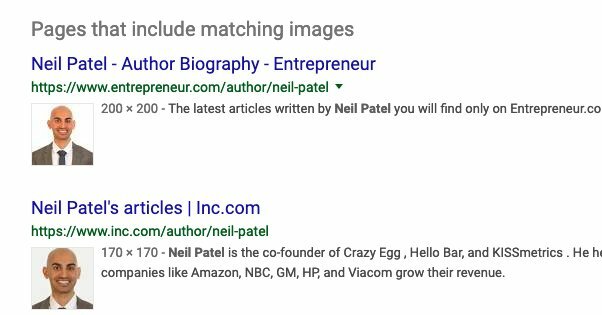 Allintitle:guest post, or various inurl attributes for finding author profiles can work quite well here.